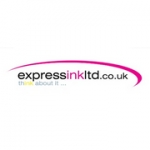 Express Ink Ltd supply various inkjet/laser toner cartridges and office stationery product including - Inkjet Cartridges HP Epson Brother Canon Xerox Lexmark Samsung. Online Catalogue, We also offer Books, Pads, Business Gifts, Catering Supplies, Computer Supplies, Filing, Furniture, Janitoral Supplies, Legal, Personnel, Office Accessories, Office Environment, Office Machines, Packaging / Postroom, Paper, Envelopes, Labels, Paper, Envelopes, Presentation Supplies, Safety , Security, Writing, Graphics. We also offer advice on new hardware such as printers , faxes , copiers and franking machines with the intent to offer cost effective solutions.